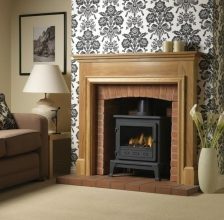 Gas Stoves are perfect for creating a realistic fire, giving a beautiful cosy feel to any room. 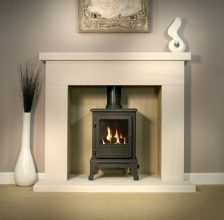 Leeds Stove Centre has an extensive selection of gas stoves to choose from. 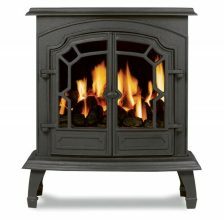 We have carefully selected the very best manufacturers to ensure that you receive a top quality stove, which will stand the test of time. 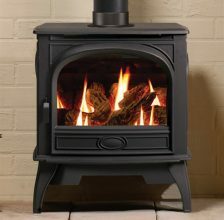 All of our gas stoves are available fore delivery across the whole of the UK. 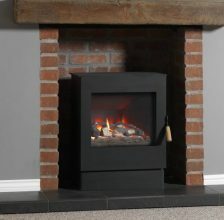 Some of the brands that we stock include Dovre Stoves, Gazco Stoves and Yeoman Stoves. These brands have demonstrated exceptional build quality and an excellent heat output. Additionally, many of our gas stoves have an input below 7kw, which means that there is no requirement to have fixed ventilation installed. This gives you the extra flexibility to install your new stove whether you want. We stock an extensive choice of designs to choose from, ranging from traditional styled stoves that look fantastic in any cottage or farmhouse, to the modern collection which look superb in modern apartments and sleek new build homes. 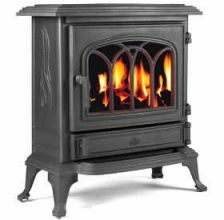 We feel that we have a stove that would suit any home and any taste all at superb low prices. Some of our gas stoves are also available with LPG convert kits. This enables you to convert your gas stove to run off LPG helping you to save your fuel bills. 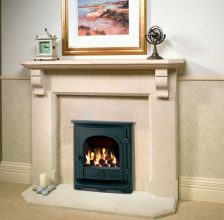 We also have a range of flueless gas stoves that do not require a chimney giving you complete flexibility with your stoves. 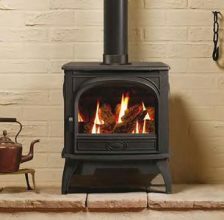 In addition to our sales of gas stoves, we also offer an installation service across the north of England. 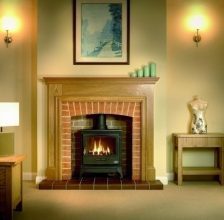 We have a team of highly experienced stove installers who are all Gas Safe Registered and HETAS Approved. Additionally we can also install surrounds and hearths. Do not attempt to install your new gas stove yourself, leave it to the experts. View more information on our stove installation page.